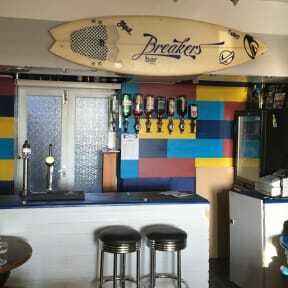 Breakers Lodge v Newquay, Anglie: Zarezervujte nyní! Breakers Lodge is nestled just above Fistral Beach, our location boasts stunning views across the bay, golf course and the awe-inspiring Atlantic coastline. Our ideal location means that you will only be a short stroll away from the superb Newquay beaches, shops, bars and restaurants. 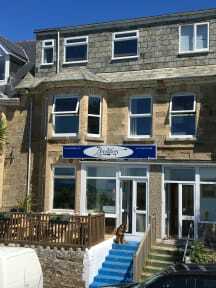 We are easily accessible for public transport with the train station only fifteen minute walk and Newquay bus station only a couple of minutes away. We have dorms and private rooms available, large communal area & chill out room and fully licensed bar and scrumptious BBQ area out front. As a guest at Breakers you will have the freedom to enjoy your stay – your way with no curfew so you can come and go as you please. Breakers Lodge is convenient, warm and friendly. There is something here for everyone whether it be for a long weekend or a short break, we welcome all groups from couples, families, surfers and stags or hens. It is the perfect place to start.